7th heaven releases "Luminous", a 10 song feel-good collection of Pop/Rock songs that will transcend generations. Released last week, it has already entered the Billboard charts, and is on the path to chart #1 in the East North Central Region Billboard Charts. "U.S.A. - U.K." and "Merry Christmas in Chicago"
7th heaven has been able to develop their own unique brand of rock music that proves that the fundamentals of great pop rock song still ring true with their new release "Luminous"
MUSIC VIDEO FOR "BEAUTIFUL LIFE"
We just released a video for our NEW "Rock Medley 1"
This will be in certain sets we play live, and available for sale over the summer in a a upcoming release. 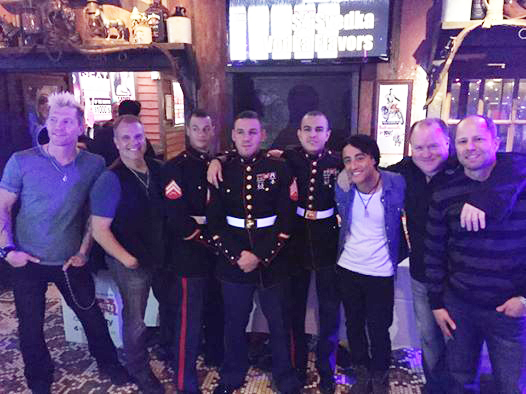 We love playing and as long as you keep coming out to see us play, we'll continue to be there. 7th heaven release new 2CD Best Of Set. A 42 song feel-good DUAL CD of various Pop/Rock songs. 7th heaven has been able to develop their own unique brand of rock music that proves that the fundamentals of great pop rock song still ring true with their new release "Next"
A 10 song feel-good CD of various Pop/Rock songs. This CD will transcend generations with the ability to touch numerous emotions and connecting lyrics. "We are very pleased with the songs on this CD and I personally ask that each and every one of you give it a spin. If you like the CD, I ask that you tell others about it. In a world where we have so much negative influence everywhere, I am proud that this CD is a positive influence and will hopefully touch a emotion. I want to thank Adam, for doing a GREAT job on this CD. His talents he brings to 7th heaven are greater than just the stage, they are also packed in these great songs, that hopefully will become favorites of yours. 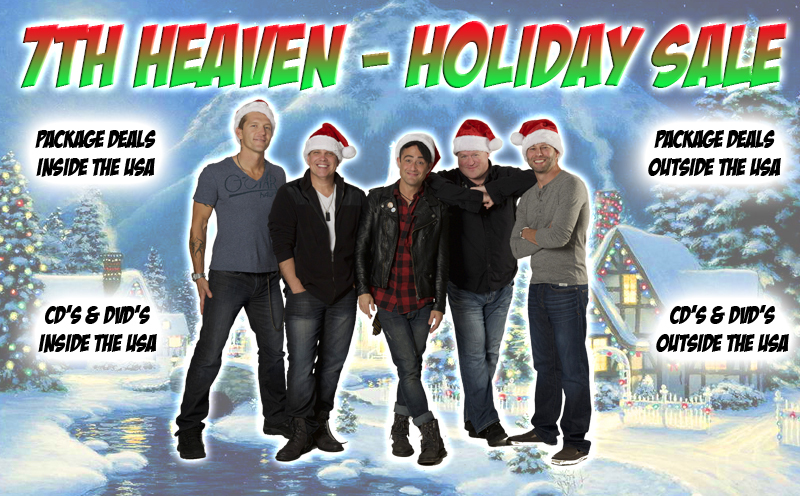 In 2014, 7th heaven charted again on the Billboard Charts, and went #1 in the Chicago Region. 7th heaven has been able to develop their own unique brand of rock music that proves that the fundamentals of great pop rock song still ring true with their new release "Next". 7th heaven Cruise - 120 People.. You Coming? Our annual 7th heaven cruise is January 24 - 31, 2015 on Royal Caribbean's Oasis of the Seas. It's going to be a amazing time and we want YOU to be there with us!! This will be a eastern sailing, going to St. Martin, St. Thomas and the Bahamas. There are still a couple rooms left. A 20 song feel-good CD of various Pop/Rock songs, with elements of Alternative, Dance, Country and Hip-Hip sprinkled throughout. This CD will transcend generations with the ability to touch numerous emotions and connecting lyrics. "I personally feel this is the best CD we have made as a band. It really showcases the talents of all 5 band members and their contribution to the final product will definitely be heard. I am very pleased with the songs on this CD and I personally ask that each and every one of you give it a spin. If you like the CD, I ask that you tell others about it. In a world where we have so much negative influence everywhere, I am proud that this CD is a positive influence and will hopefully touch a emotion, as it did to myself working on it. I want to thank my band members for putting in a great effort towards this CD, especially Keith. I also want to give a shout-out to our original singer, Tony DiGiulio, for helping with writing some of the songs with us. 7th heaven has been able to develop their own unique brand of rock music that proves that the fundamentals of great pop rock song still ring true with their new release "Spectrum"